Since the weather has been cold and rainy these past few months, it has become the perfect time to perch yourself up in a nice, warm, cosy cafe. 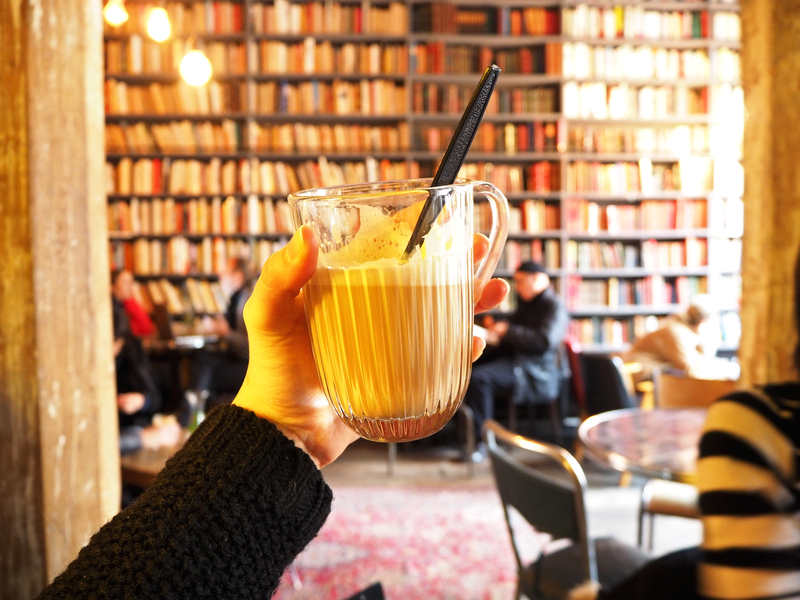 Whether you’re wanting to sit in a corner and read a book, or meet up with a group of friends, Merci Used Book Cafe has plenty to offer. 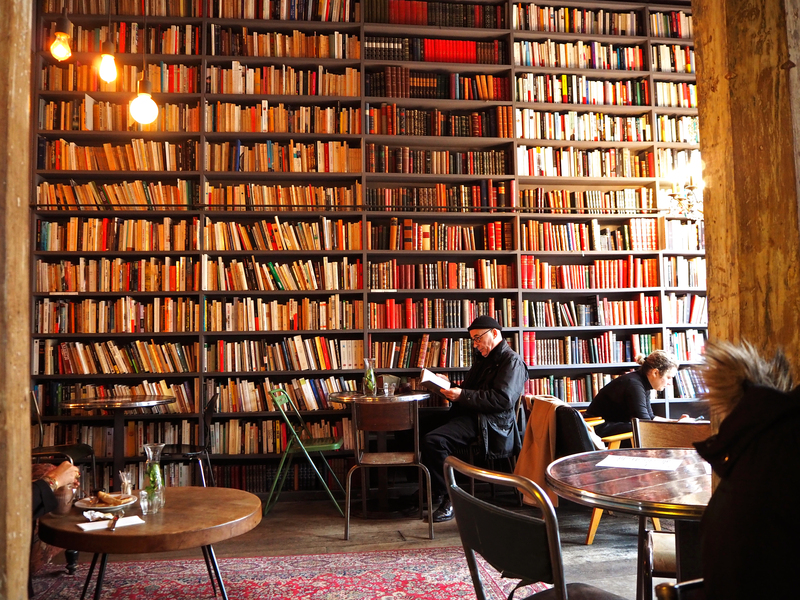 With over 5.000 books to offer, you’ll never get bored. The atmosphere of this cafe is just wonderful and the staff make you feel right at home. If you have time to spare before or after your “rendez-vous”, don’t forget to check out their store. 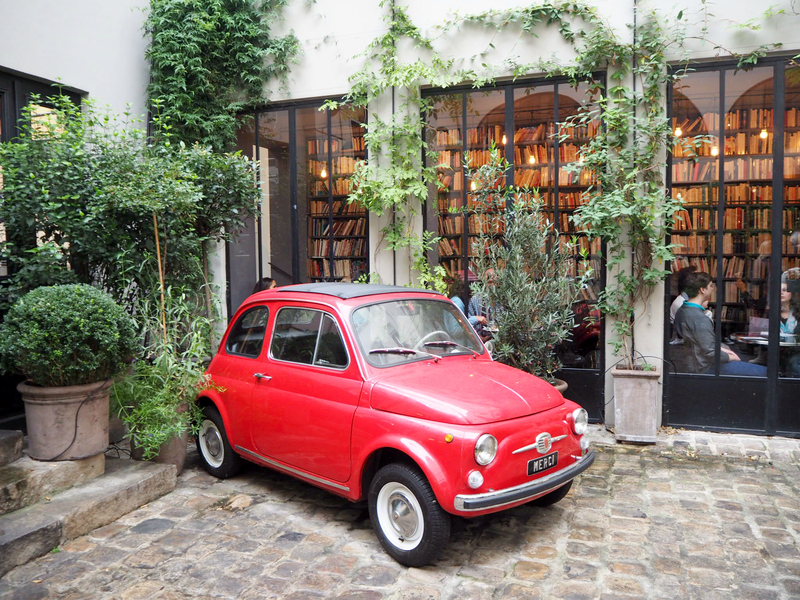 It is located to the left of the cafe, and you will find yourself greeted by a cute little red car, which the Merci Shop has become known for.